The capital of Croatia is located in the country's northwest and is the forefront of Croatia's culture. Its history dates back to the Medieval times which is distinguishable by the city's 18th and 19th-century architecture. The top landmarks in the city include the Museum of Contemporary Art, Maksimir Park, and the Mirogoj, which is regarded as one of the most beautiful cemeteries in Europe. Apart from these main attractions, Zagreb is also home to the Museum of Broken Relationships. This quirky, and world-famous, museum exhibits memoirs of broken relationships, which have been donated by previously heartbroken owners from around the world. One of the best ways to see the highlights and attractions of Zagreb is by using one of their free walking tours. 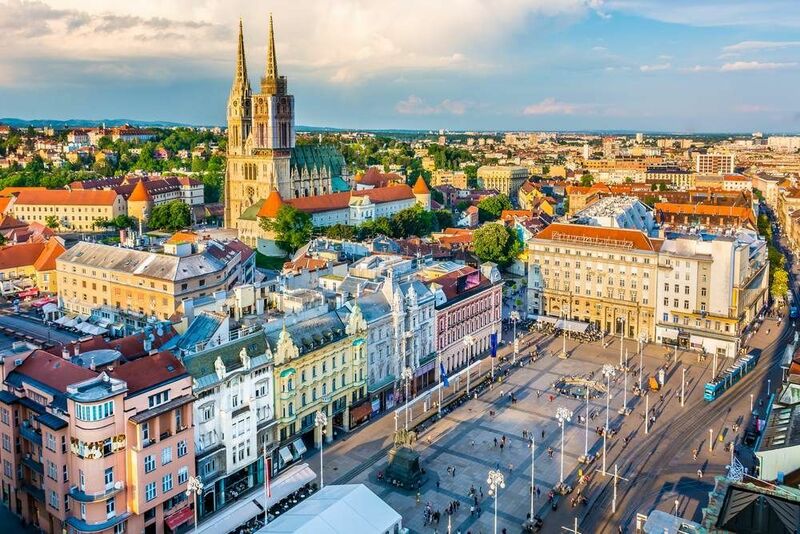 There are several available to choose from, but all provide you with an insight into Croatian culture, stories about Zagreb history, and the opportunity to see the main landmarks in the city. This tour aims at introducing you to Zagreb, its people, and its culture. See the city through the eyes of locals, and see the top attractions and places of interest while listening to entertaining stories from your guides. The tours are free of charge, but you are welcome to tip the guide at the end of the tour. The guides are knowledgeable in their field and will teach you about the culture and history of Zagreb. Tours need to be booked, and there are no set schedules, so check out their website for instructions on how to book a tour. This tour prides itself in being the perfect choice for the young traveller and the young traveller at heart. Take a 2-hour walk through the city and visit all the must-see attractions in Zagreb. The local guide will take you to the top 10 attractions in the city and also point out the best places to eat, stop for a drink, and go on a night out. This tour lasts for about 2 hours. Learn about the Croatian culture, stop by the main highlights of the city and mingle with the locals in the area. The aim of this tour group is to facilitate knowledge exchange in the form of free tours. This is the perfect way for the first time visitor in Zagreb to get to know the city and see the top attractions. Below you can find more popular (but not free) activities and tours in Zagreb. Are you from Zagreb and want to be a tour guide? Please get in touch by submitting your details on this page!